Apple is known for choosing phenomenal imagery as wallpapers, and keeping with that long-running theme, they’ve added a beautiful new wallpaper to OS X El Capitan Developer Beta 6. If you like pictures of starry nights and amazing scenery, you’ll really enjoy this one. 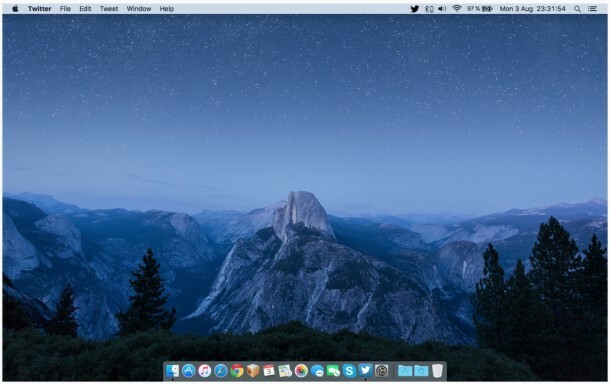 Of course, not everyone is eligible to run the Developer Beta builds of OS X 10.11, but that doesn’t mean you have to wait until the fall and the final version of OS X El Capitan to enjoy this gorgeous image as your desktop background. 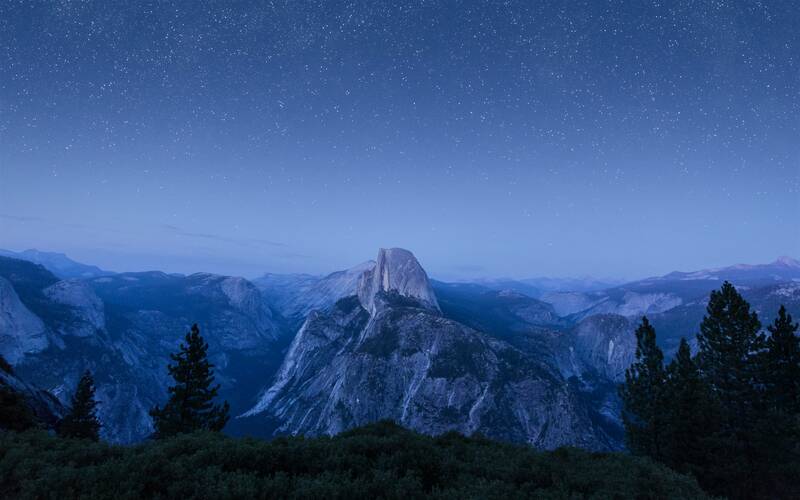 For those who are less familiar with the scenic wonders of California, this vivid capture is of a clear night sky over Yosemite valley, with the various granite formations and canyons prominently featured. The picture looks to have been taken from the rightfully popular jaw-dropping Glacier Point viewpoint up high in Yosemite National Park, yes, the same park which has inspired the names of both OS X Yosemite and OS X El Capitan. The wallpaper looks absolutely fantastic on desktop Macs, and equally impressive on iPad, iPhone and iPod touch. Enjoy! And thanks to a Davis for pointing us towards the MacRumors forum and IMGUR mirror locations of full resolution versions. That’s not El Capitan, it’s Half Dome. But its still awesome. Thanks for sharing it. shot of half dome FROM GLACIER POINT. What you are actually seeing is a view of the Yosemite with Half Dome in the background from the visitor viewing area at Glacier Point. You say it looks good on a desktop, which is may do, but it’s not designed for a desktop as its dimensions don’t fit properly on my 28″ 2009 iMac screen. I have stretch it to fill the screen. Will Apple add to Dynamic Desktops for OS X? I also hope that more will be coming for iOS. Too few available with iOS 8. Well seeing as Dynamic wallpapers mainly work by the movement of the device, they not going to work well on the desktop.